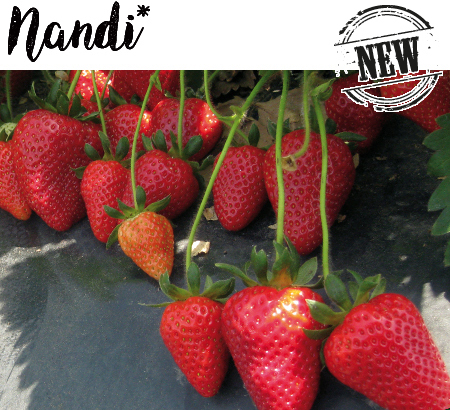 New Italian medium-early CULTIVAR, with high cold requirements. The PLANT is vigorous, vary rustic, and tolerant to common diseases. The FRUITS are large, conic shape, regular, bright red colour. The FLESH is firm with good flavour and aroma. This cultivar is adapted for organic cultivation or in sustainable system; thanks to high vigour and good rusticity. Suitable both for use of cold storage plants and fresh plug plants.